How many of us wake up in January to a much-too-tight pair of jeans and general feelings of heaviness with a hint of sadness? Holiday eating is not a simple thing to circumvent. But there are some tricks that might help you navigate it successfully. 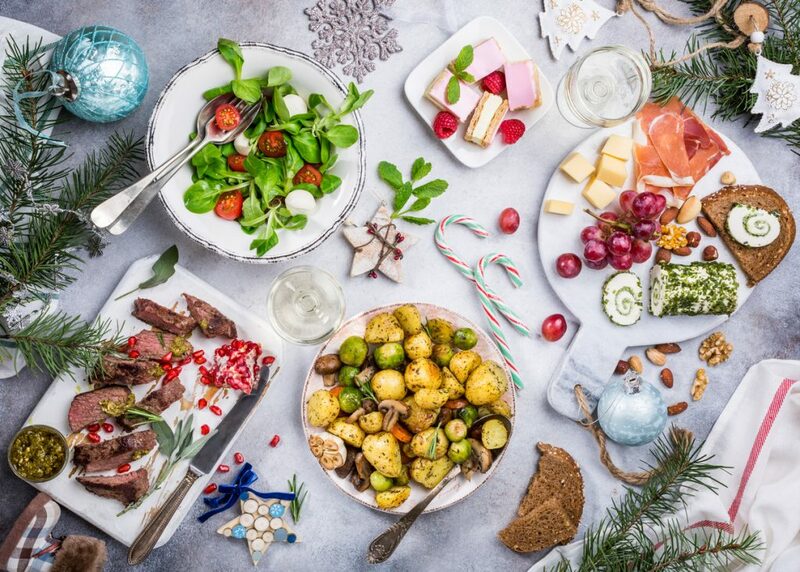 Did you ever stop to think that a lot of the holiday weight gain, a proven, real-world phenomenon, isn’t 100 percent connected to the specific holiday meals but also to the stress and disorganized schedule that uproot your usual routine? This tends to happen around the holidays. Suddenly, you have to go shopping at the mall. Or you’re going back home to visit your folks and it’s way harder to follow your diet there. Or you’re skipping meals so that you can get through your never-ending to-do list. All of these problems are not without solution, though. There are some strategies you can resort to if you want to minimize harmful and fattening holiday eating. 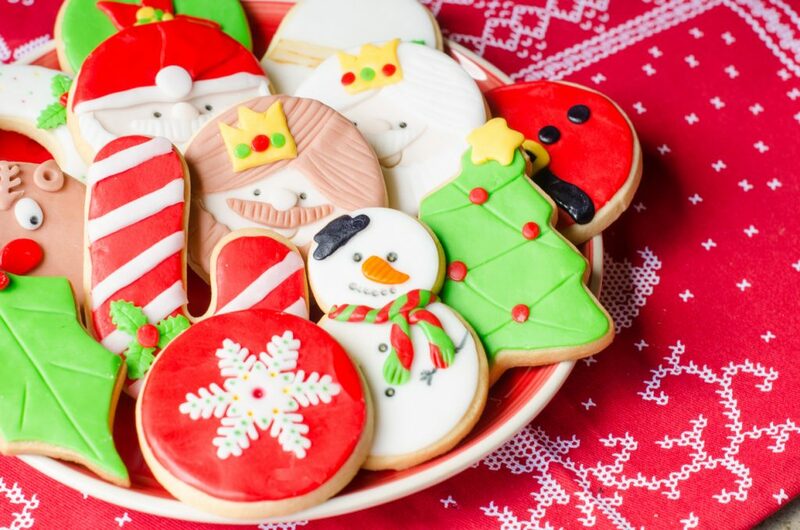 Christmas is loaded with sweet temptations which you can avoid with a good strategy. When you’re going shopping, the last thing you need is to stop at the food court at the mall. One solution would be to go there with a full stomach so that temptations steer clear of you. Of course, all the sights and smells could make things very difficult. If you really do have to eat, then pick something that’s not very fast food. Go for the places where you can buy salads, rice dishes, stir fries, and roasted vegetables. And choose a quieter place, because science tells us that loud noises make us eat more. We just mentioned that a noisy environment makes you eat more. Well, that’s true, so turn down the volume of music while eating with your family. Researchers at Penn State University found that women who ate in a room with blasting music and background noise consumed twice as many calories as those who were in more Zen-like settings. So, ask your family to turn the volume down on the Christmas carols and try to eat with as small as possible group of people. Another weird bit of research found that the color red stimulates your appetite more than any other colors on the spectrum. After that, a lot of restaurants and small places where you can eat have adopted red as their main hue. Red appears in the flowers on the table, napkins, and many other details you’ll know to look for now. So throughout the holidays, try to identify places with little to no red elements, so that your appetite won’t grow in size like the beanstalk in the fairy tale. 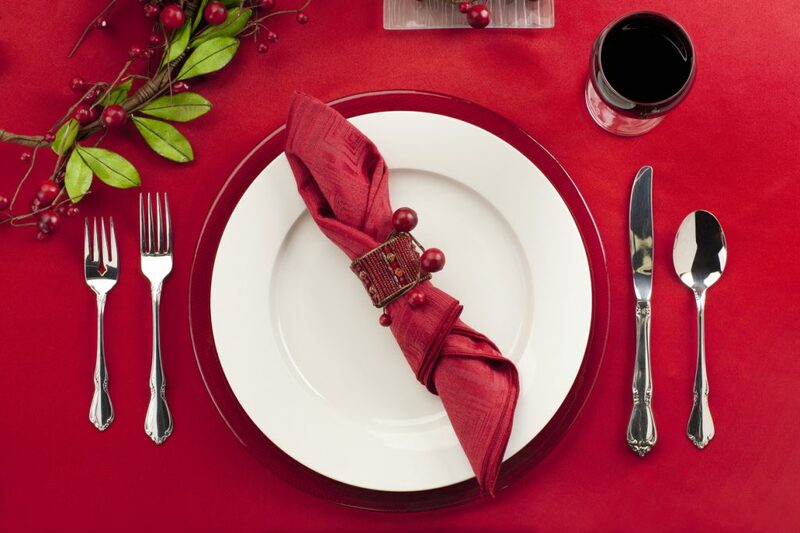 Research says that the color red stimulates your appetite, so do your best to avoid it. There is actually another study, from the Journal of Agricultural and Food Chemistry, that suggests the act of smelling your food before eating it can make you feel full. There was some other research that suggested using anti-hunger smells, those scents that stop your appetite in its tracks, to fight obesity. But back to smelling your plate: apparently, the scent of your food can also heighten the flavor and you’ll be satisfied sooner. Another tip? Eat slower and take a whiff of your food between bites. It will help you find out how hungry you actually are. There are some healthy snacks you can munch on before dinner that take the edge off your hunger. Steer clear of fried finger foods, like egg rolls. Have instead one of these low-calorie appetizers: crudités, shrimp cocktail, chicken satay, and mozzarella and veggie skewers. Holiday eating – hacked! Try having some snacks that will make you feel full before you get to Christmas dinner. If your hands are free, then what are they going to do? Probably picking up cookies and other foods constantly. So, a nice way to keep your hands busy at any Christmas party is to bring a clutch with you. Hold it in your hands as much as you can. Your other hand will be busy holding a glass of wine. And look: you have no more hands for picking up mini quiches! Sure, when we think about the winter holidays, what comes up a lot is mouthwatering food. But if you want to look at the source, it’s not about presents or the dinner, but the company. Being with people you love and care about, sharing an experience together. That’s why it would be great if you focused on the socializing aspect of the holidays. Engage more with the people, and don’t overindulge in food and drink. Remember, alcohol is not good for your diet either. You can keep your hands busy and away from the buffet by offering to help the host, or playing with the children in the room. Who has time to go to the gym this time of year? It’s complicated and you have many things to get ready. But that’s why you should include some exercising at home in your schedule. Just to keep yourself on track until the New Year. Do a yoga program, you can find plenty of those on YouTube. And center yourself by doing a few minutes of meditating every morning, because a balanced you is a you who doesn’t need to eat their feelings. It’s complicated to go to the gym during holidays, so try to exercise in the comfort of your home. With the stress and exhaustion, it can be hard to keep track of what and when you eat. That’s where a food journal or even a tiny notebook can help. Try to weigh yourself daily, to see how you’re coming along. If you’re gaining weight, you’ll know to eat healthier or do some exercise. Allow yourself a cheat day every week of the holidays. Or two every five days, if you’re feeling confident. With eating more or fattier foods comes a hefty amount of guilt. So, plan to be more flexible with your holiday eating. Holidays are also about fun and enjoying yourself, even if you do end up gaining a little weight. It really happens to all of us.